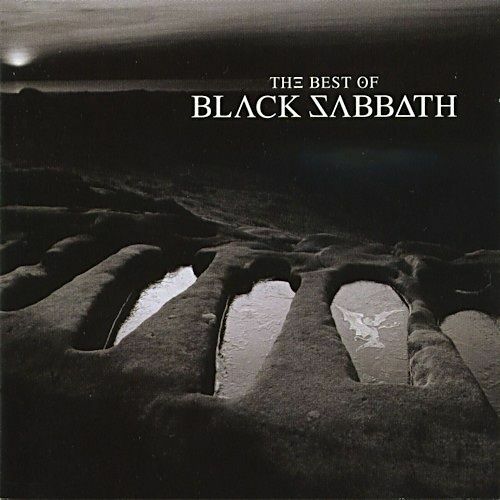 I've always liked the album cover The Best of Black Sabbath. The album cover features in the foreground five rock-cut graves, which are in fact graves dating back to the 11th century. The location is St Patrick's Chapel, Heysham in Lancashire overlooking Morecambe Bay, in the background the sun is setting, so apparently taken at dusk. As I was visiting a client in the area I'd decided that if I had enough time and the weather was favourable, I would visit the chapel for a look around. What a surprise the village is, I'd only visited the port before which isn't that inspiring, not only does it have the ruins of St Patrick's chapel where the rock cut graves are to be found, it also has the parish church of St Peter which is on the site of an earlier Saxon chapel. 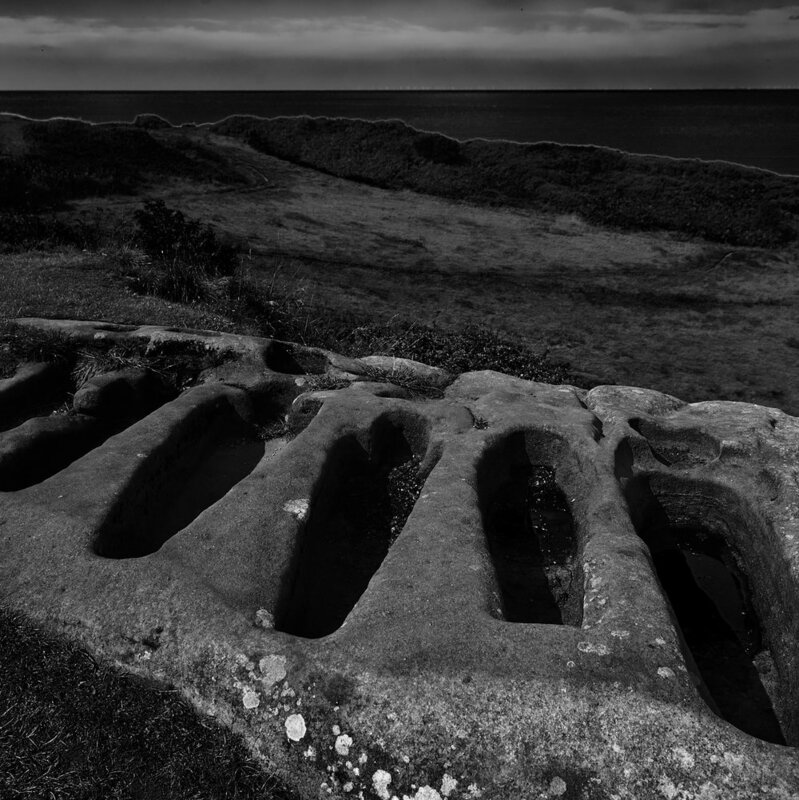 Around St Patrick's Chapel are the remains of eight rock-cut graves hewn from the headland, several of which are body shaped and have rock-cut sockets, possibly for wooden crosses. It is thought that the graves were created around the eleventh century and were used for burying very high-status individuals. The graves today complete with wind farm on the horizon! Of course I took a shot at the grave site, my attempt at the album cover is not quite the same! Done from memory at the wrong time of day and the wrong season (the original has ice in the graves). Must revisit the site again this winter.